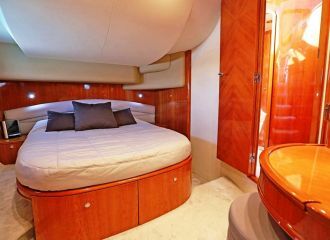 This Princess 61 flybridge yacht available for charter in the south of France, was built by Princess in 2004. 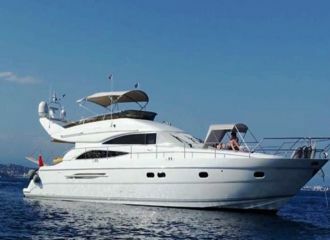 Guests will spend a great time onboard cruising the French Riviera from Cannes to Monaco or St Tropez. 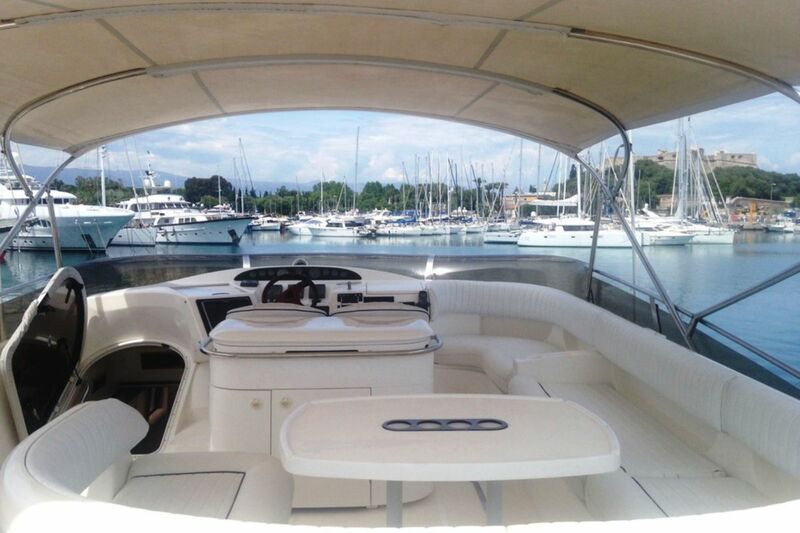 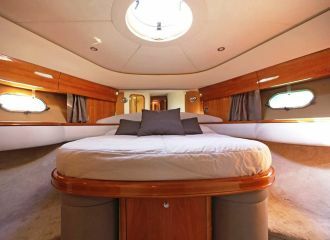 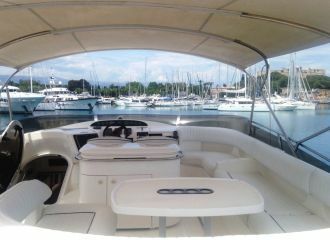 The flybridge is particularly enjoyable to admire the beautiful views of Cannes and its surroundings. 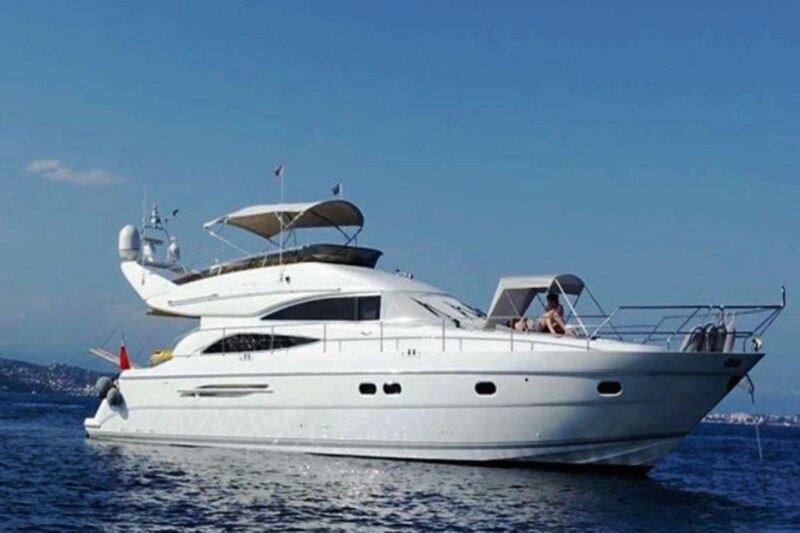 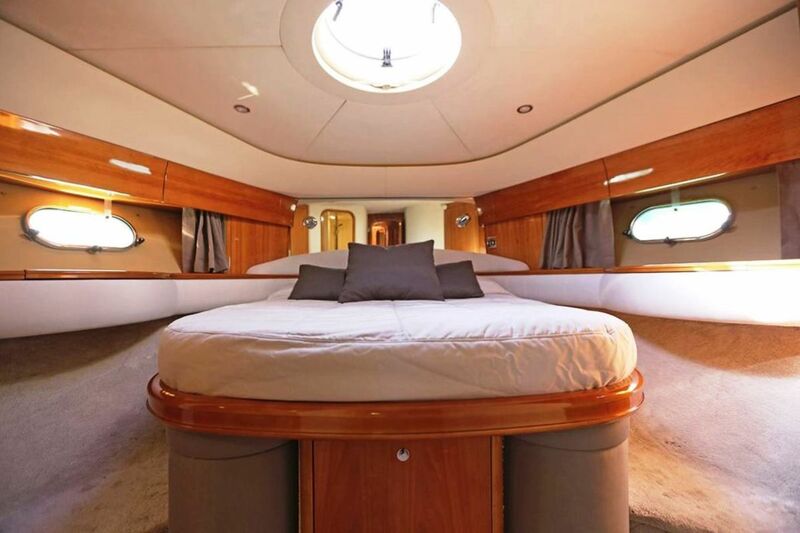 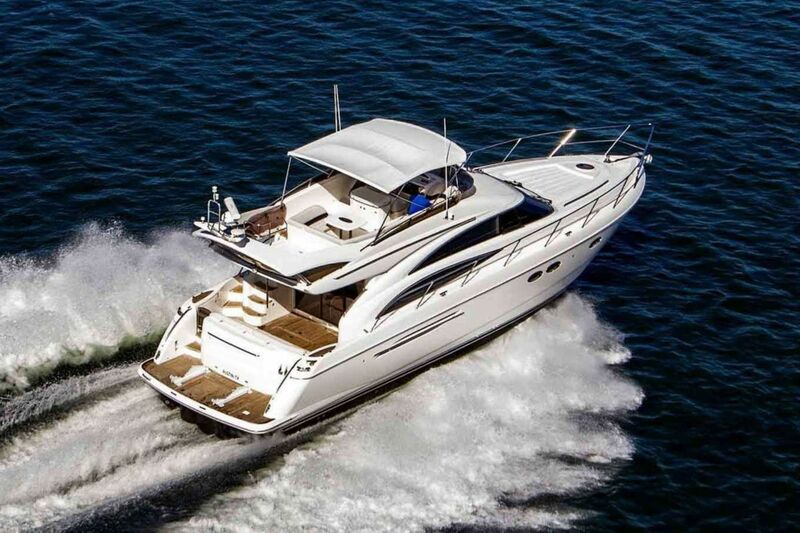 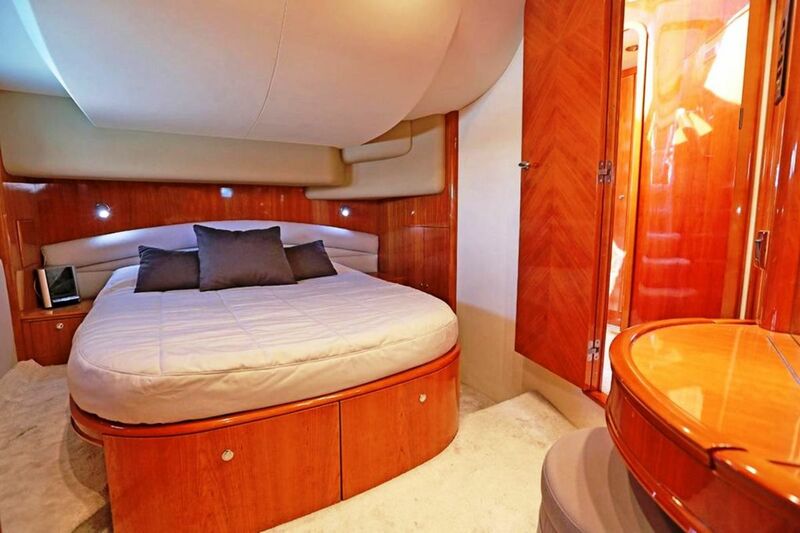 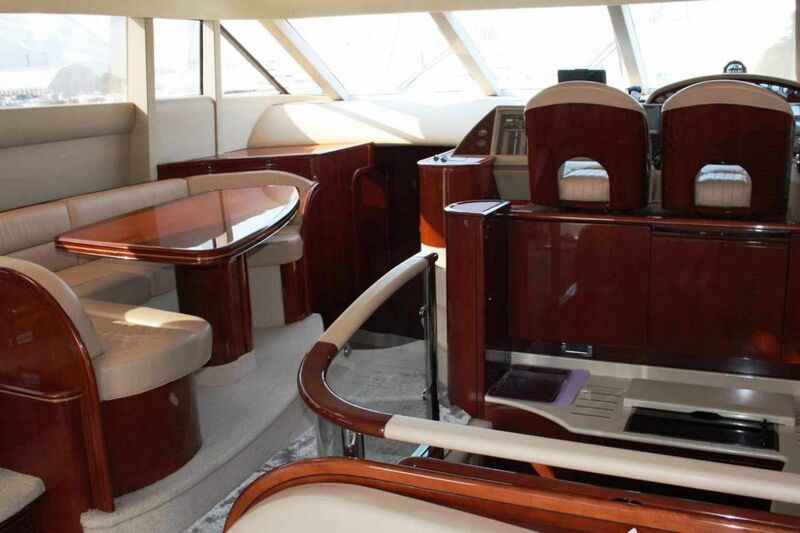 This Princess 61 motor yacht accommodates up to 6 guests in 3 good-size cabins. 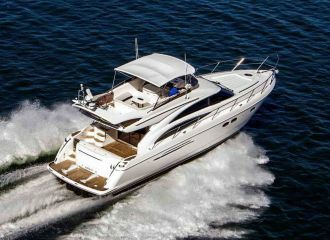 A very popular charter yacht in her size range. 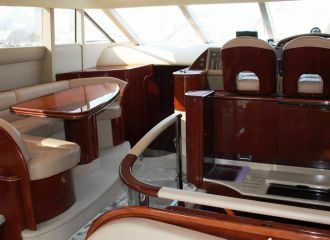 total 2800	€ Excluding VAT and APA ?